Nawa – An architectural sculpture nominated to EU Mies Van Der Rohe 2019 award. NAWA has been nominated to the European Union Prize for Contemporary Architecture – Mies van der Rohe Award 2019! 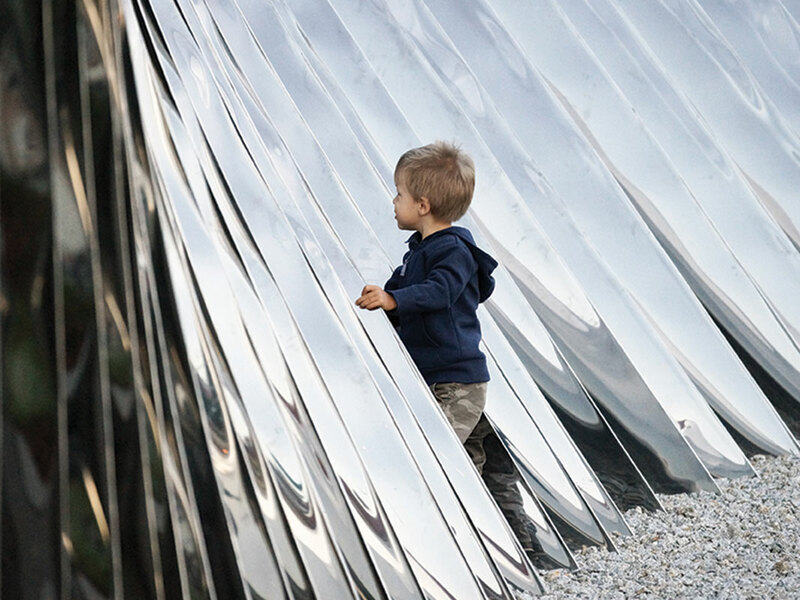 An architectural sculpture by Oskar Zieta, has been nominated for the European Union Prize for Contemporary Architecture – Mies van der Rohe Award 2019 – one of the most important and prestigious architectural awards in the world. NAWA is part of revitalization programme for Daliowa Island – the smallest of over a dozen islands in downtown Wrocław. Aim of the programme was to turn neglected and forgotten space into an area open to meetings, concerts and artistic events, thus a reclamation to city inhabitants. 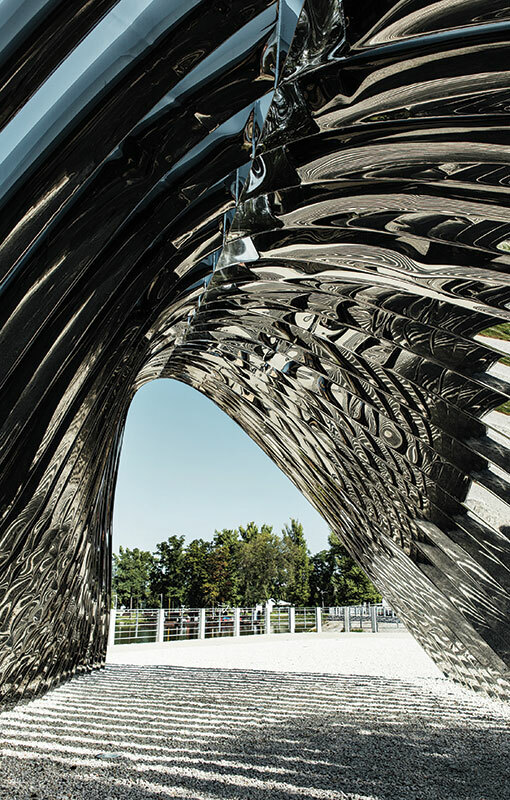 This architectural, public sculpture consists of 35 bionic steel arches referring in form to the shape of the island and most of all to construction of nearby historic architecture of Ostrów Tumski originally established in XI century. The arches together create an ultralight, durable construction, its mirror-polished surface reflects the surroundings and gives the effect of a naturally growing sculpture that changes throughout the day and seasons. 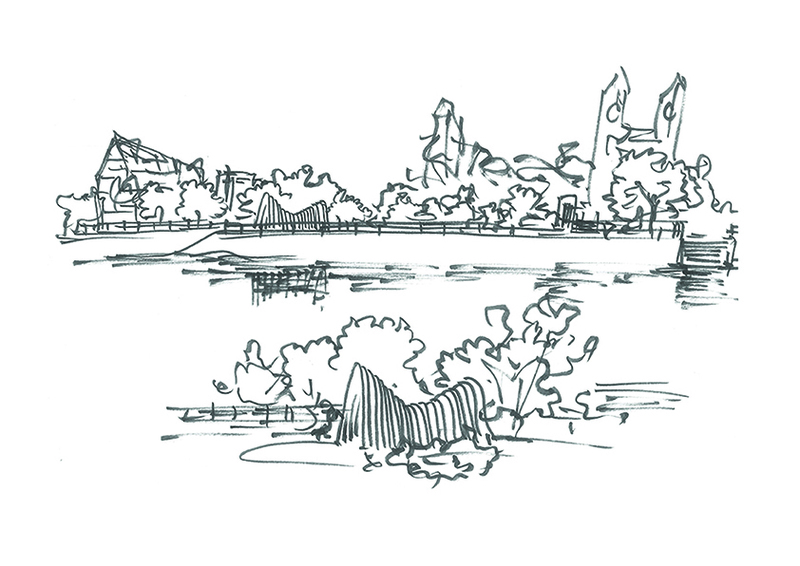 NAWA is the crowning piece of celebrating European Capital of Culture – Wrocław 2016. The inspiration for use of arc construction was inspired by nearby Cathedral of St. John the Baptist, Market Hall, The Ossolineum and its library. 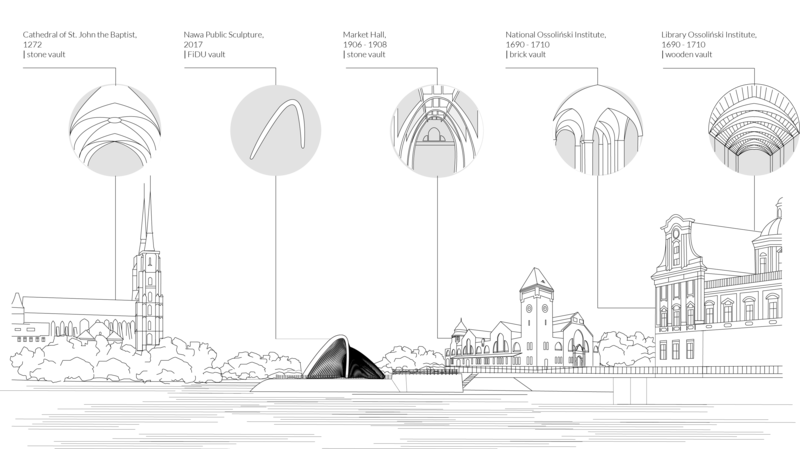 The form of bionic arch goes along with shape of the very island and corresponds with surrounding architecture. Designed shape of the object was divided into individual pieces with original algorithm and in specialist software for parametric design. It allowed to adjust the force arrow and to optimize production, transport and endurance on the basis of real time (FEM Simulation). The sculpture was made with original FiDU technology (free inner pressure forming) which allows to create tailored, adjusted to force arrow, ultralight construction elements in sheet metal. Bionic arches were cut out and welded along the edges and then inflated with compressed air.